Need Drywall Installation For Your Franchise? 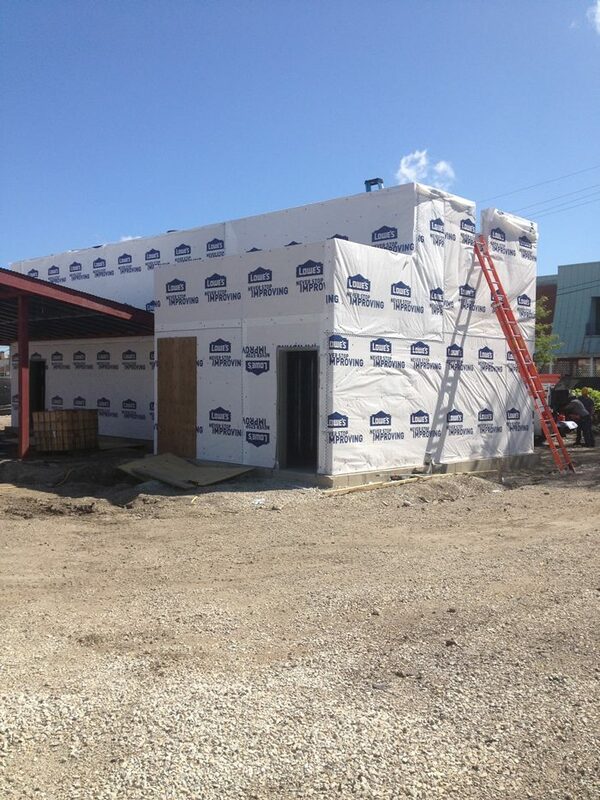 Our Drywall Contractors In Chicago Can Help! Professional drywall installation is available to deliver personalized results to match your company’s image, design, theme, and so on. Our local commercial drywall company has experience in this industry, delivering comprehensive support to ensure a quality outcome for your build. Since 1999, our drywall contractors in Chicago have delivered structural services such as steel framing and design, drywall installation and finishing, acoustical ceiling tiles, and more. We have the training and experience to ensure you are satisfied with the results of your project, whether it is a building renovation, addition, or franchise fitting. AZ Drywall Finishing can provide complete drywall solutions for businesses across many industries, and we know how to deliver a range of services to match your demands. If you are planning on a franchise build, it’s important to stay within design parameters while achieving a high-quality result that pleases local customers. Read on to learn about a few aspects that our commercial drywall contractors focus on for franchisees, and be sure to contact us when you are ready for a no-hassle estimate. Every business is different. From the location and height of the paper towel dispensers to the entryway size for drying off, nearly every element of your building design will need to match certain design tolerances. Not only is this streamlined build process ideal (proven designs often minimize costly surprises), it provides a familiarity with customers in association with other locations across the state, country, or globe. The value of your brand relies on establishing a proven formula that consumers are willing to pay for, and this will oftentimes result in a building design that should be with perfection. AZ Drywall Finishing’s metal stud framing team can deliver an idea outcome for your floor plan, relying on precision in every piece to save time and money will meeting your vision the first time around. Your building can benefit from the hidden benefits of steel framing in addition to our drywall finishing services for complete accuracy. From a technical standpoint, your franchise may require a complete overhaul to match the flow and feel of the business. In other cases, you may only be asked to retrofit the existing floor plan in a cost-effective manner. Our commercial drywall contractors will be able to provide outcomes tailored to meet your design, budgetary, and time restriction. New franchise owners can rest assured that one of their first (and most important) tasks can be completed with no surprises or setbacks. AZ Drywall Finishing will communicate with you through every phase of construction to ensure precision is achieved to the best of our abilities. One challenge with expanding your franchise is ensuring that customers get the same experience wherever they go. Building a new location can provide a great boon for business, but only if the proper benchmarks are achieved. Your franchise will be tasked with keeping the food and customer experience consistent across the country, making it important to match the design plans perfectly. AZ Drywall Finishing is here to help, relying on our decades of experience in industrial and commercial drywall applications to deliver an interior that matches your vision in a timely and affordable fashion. Companies such as Starbucks® rely on consistent quality to build their brand name. In most cases, these corporations will rely on a proven design formula that must be matched for acceptance. 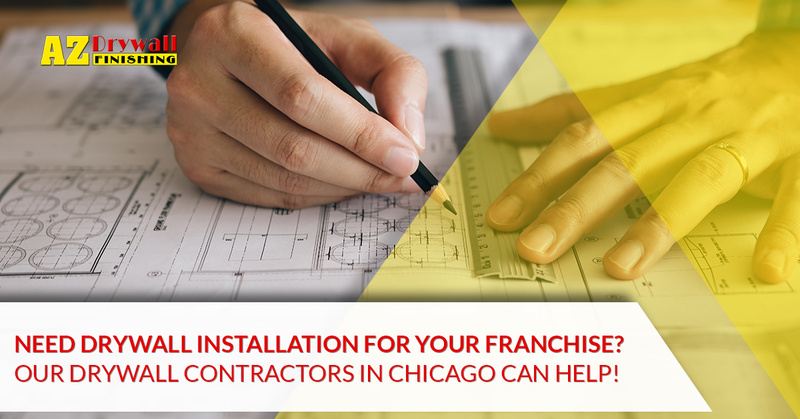 Our Chi-Town drywall contractors can work with you and your company to find the best solutions for every phase of development, delivering cost-effective outcomes that aim to benefit your new business for the long term. Drywall installation is just one part of the construction process, making it important for owners to recruit and balance their contractors for a seamless result. Whether you want to hire the AZ team as your drywall contractors or wish to sign us on as construction managers, we’ll be able to provide the personnel and technical support. All of our services are scalable, matching budgets and buildings of all sizes. AZ Drywall Finishing is proud to be your trusted Windy City drywall company. For decades, our team has worked to perfect our services in order to provide the best outcome for clients with projects of any magnitude. Contact our drywall contractors in Chicago today for an estimate, or be sure to fill out the form below!